Build an on-demand medicine ordering app to provide convenient and affordable access to prescription drugs, otc medicines, healthcare products and more online. We work closely with e-pharmacy startups, pharmacy chains, and hospitals to create a seamless medicine ordering experience. Build a mobile app platform for consumers to quickly order medicines from nearby medical stores on-demand. Big pharma companies can directly connect with their target customer base without needing any middleman. 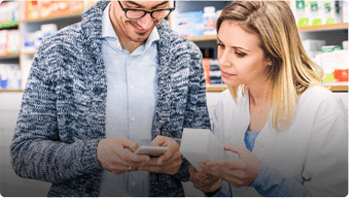 Build a branded online pharmacy network to acquire new customers and grow the business faster and smarter. A feature rich and fully customizable online pharmacy app development solution. Click and upload the prescription and get it digitized by a pharmacist. Getting started is seamless with email and social login options. Quickly find medicines by name or salt and use auto suggest and filters. Find useful information about the medicines before placing any order. Get details about cheaper options and alternatives to prescribed drugs. Quickly reorder without needing to upload prescription again. 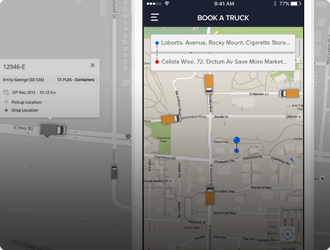 Know the exact status of the order with real-time push alerts. Get smart alerts on when to take the medicines and stay relaxed. Multiple payment options to chose from and promo codes to save money. Keep basic details, addresses, uploaded prescriptions, etc., up to date. Use in-app faqs, helper tutorials and contact us to resolve any issues. Get a web-based admin panel to manage all aspects of the business. Add medicines, get low inventory alerts, manage pricing and more. Build and manage a qualified network of pharmacists to review orders. View all orders in one place, track their status and fulfillment details. Keep a secure database of all the customers with their key information. Add account details, create new discount offers and view their performance. Manage content for about us, faqs, t&c and other app screens. Get useful insights on the business for data-driven decision making. Every pharmacist will get an easy to use web console to manage orders. Pharmacists are alerted about any new orders via email and web notifications. Uploaded prescriptions are reviewed and converted to a digital format. Provide assistance to customers via phone and optional in-app chat support. Add a feed interface to your app with useful health tips and medicine info. 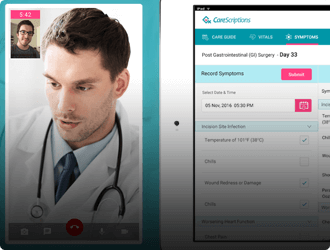 Allow patients to chat directly with health experts from within the app. 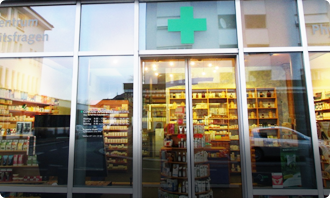 Make it convenient for customers to find your nearby pharmacy stores. 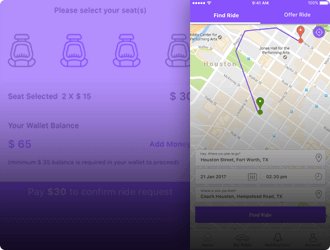 Make your app accessible and useful to people in their preferred language. Conveniently make bookings for lab tests and diagnostic checkups online. Patients can securely store all their health records meeting compliances. Integrate with third-party logistics partners for doorstep medicine delivery. Provide a fully responsive web app medicine ordering experience for new users. Want To Launch A Trusted Online Pharmacy Store App? 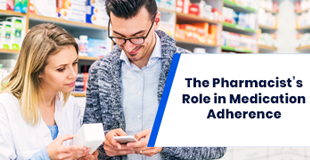 Mobile and the Internet are changing how we buy prescription medicines, otc drugs, and health products. Buying medicines online using mobile apps is going to become the new normal. Let us help you get onboard with the power of mobile technology. We offer a mobile-first medicine ordering app development solution tailored to your unique needs. A fully branded app with the option for new features, integrations, and enhancements for your needs. Our pharmacy app developers have created a base solution to get you started quickly with your idea. Selling medicine online can be done in multiple ways and we work with you to build it the way you want. Meet all the regulatory compliances in your region for patient data security and online medicine selling. The solution includes native medicine ordering apps for iOS and Android for a seamless experience. The app and the web admin panel have been thoughtfully designed for an intuitive experience. We provide support for your preferred payment gateways with multi-currency support for global reach. We have used a powerful technology stack for a highly scalable medicine ordering platform. We will work closely with you from finalizing the solution requirements to post launch support. 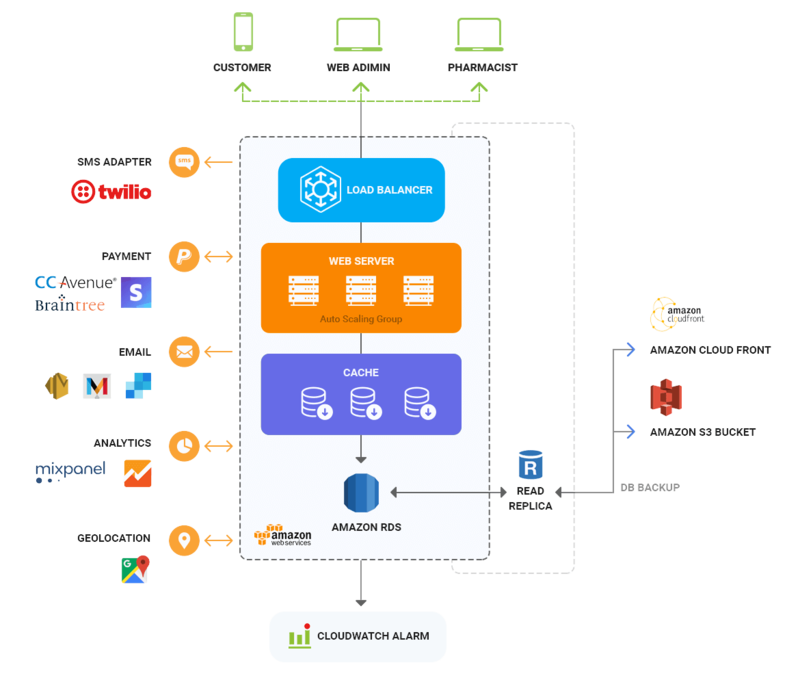 A thoughtfully chosen technology stack and a customizable base architecture to power your online pharmacy business. Want To Create A Medicine Ordering App? We are excited to listen from young entrepreneurs, startups, and businesses who want to revolutionize healthcare services with mobile technology. 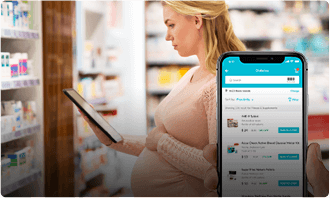 We already have a pre-built base solution that includes native ios & android apps for customers, a powerful web panel for admins for order management panel for qualified pharmacists. Based on your branding requirements, feature requests, custom integrations and add-ons, the time may vary. Pharmacy chains get several advantages by making their store inventory available online via medicine ordering apps. It provides them a technology solution to provide convenience to their customers, increase reach and acquire new ones and overall grow their business at a much faster rate. Well, we would love to hear it from you. Still based on the type of inquiries we have received, many are also interested in apps for lab booking tests, telemedicine or online consultation and doctor appointment booking. Our job is to provide you with the best app development solution for your idea.